Theft accounted for 75.3% of reported cases for non-traffic Penal Code offenses in 2012. Fig. 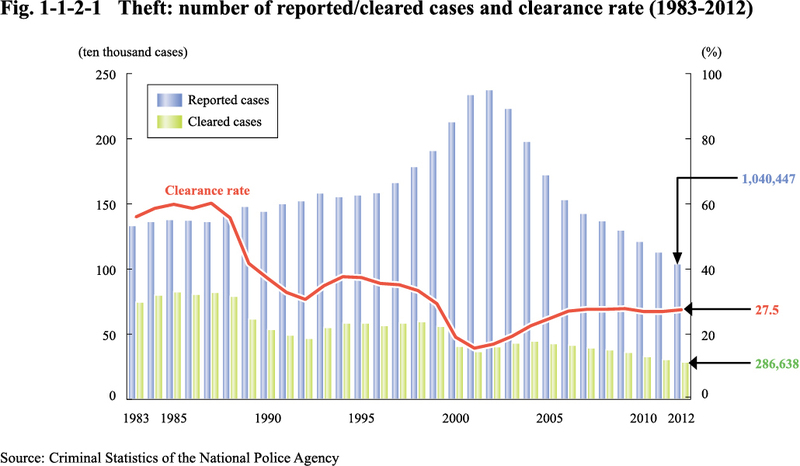 1-1-2-1 shows the number of reported cases, number of cleared cases and clearance rate for theft.